Do people say you’re hard to shop for? The holiday season is almost here and we’ve been stocking the shop with tons of great stuff! 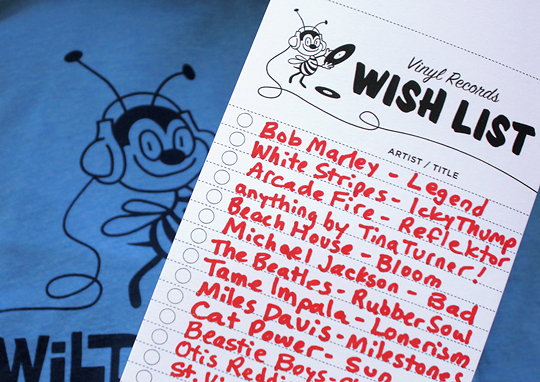 If your friends or family say you’re hard to shop for, then come by Wild Honey Records to pick up some handy vinyl wish lists… and get the music you really want!